Sorry, that's because I uploaded the xorg.conf after I had changed it to vesa to allow me to start X again. The original xorg.conf (i.e. the one that was there when the problem occurred) was identical except it loaded the intel driver instead of vesa. Really like what I see in Dpup, thus far. both SFS and/or dpup pet. ATI Radeon driver; tried to dl from Synaptic. 'do_initrd' in kernel line?, something as such. Many thanks for your efforts. This should be the best Pup yet. Welcome aboard ! And thanks for the compliments! Are you sure your Wine is loaded correctly? To get it working, I had to unpack the sfs in its own directory in $HOME (on an ext3 drive), and then symlink manually the sub-directories at their proper corresponding places in the Linux hierarchy. I'm pretty sure this manual solution will work, but it's a little chore. Another solution might be to activate your Wine sfs through the bootloader as well as through the "sfs-linker". Item # 2: I have a Radeon card on this machine, and didn't need any special driver: it worked "out of the box"! How old (or how new) is your Radeon card? A senior dpup dev might want to confirm this, but I don't think you need a driver with dpup's version of Xorg. Best wishes of the Season, incidentally. 2.14X uses 2.6.18.1 its old but a lot of users really find it stable and haven't complained, plus there are a lot of updated modules for it, thanks to MU and tempestuous, but 2.6.18.8 was used in puppy 2.18 woof and hasn't been all that tested but I guess it was updated up until around a year ago. To confirm musher0's report... xorg has included the "radeon" driver for awhile. I think the "radeonhd" driver is also included. The "radeon" driver should support most older cards and the "radeonhd" driver newer cards. These drivers are free and open-source. There is also the proprietary driver FGLRX, provided for Linux by ATI/AMD. I'm pretty sure there are .debs in the debian repos fo ATI/AMD drivers (proprietary included) but they will not work with the dpup kernel. The only drivers you can use are drivers compiled for the Puppy 2.6.30.5 kernel. You can compile these yourself but you need the devx installed/loaded and the kernel source (available from puppylinux,com/sources). My Radeon 9250 works fine with default xorg drivers and dri also works when libgl mesa installed. I also uncomment rage teathre option in xorg.conf and also force tvout so I can use tv-out with xorg. I can paste my xorg.conf if someone has similar card. Dpup has the radeon and radeonhd kernel modules already built-in. To Guy, Mick and dejan555: Thanks for the validations! But tsk, tsk, they're copyrighted. 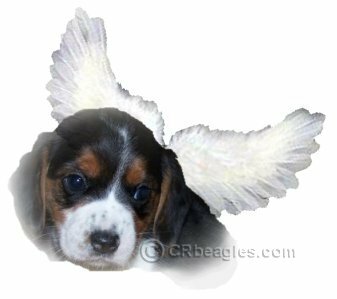 Shouldn't the Puppy distro have its own Puppy Angel ? Same to you, and all the best to all Puppy users and families.